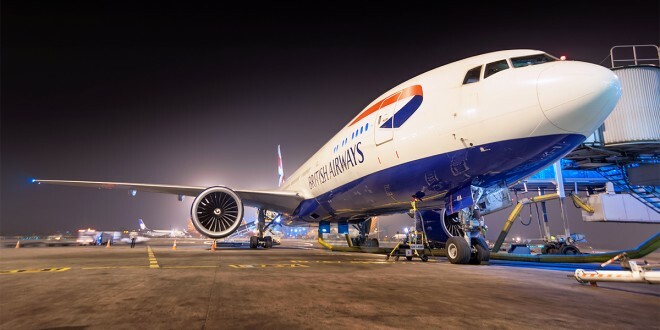 British Airways Boeing 777-200ER G-VIIA fitted with GE90-85B engines. The United States National Transportation Safety Board (NTSB) has released a preliminary report on the engine fire that occurred during takeoff of British Airways flight BA 2276, a Boeing 777-200ER, registration G-VIIO, at Las Vegas McCarran International Airport (IATA: LAS). The report’s initial factual findings suggest a failure in the high pressure compressor (HPC) area. The engine case showed multiple breaches around the HPC area. Several pieces of the HPC spool, which is about seven to eight inches in length, were found on the runway. The aircraft has received substantial damage to the left engine, the pylon, the aircraft fuselage structure around the engine vicinity, and the inboard section of the left wing. The extent of damage to the crucial wing root is not known. The aircraft was equipped with two General Electric GE90-85B engines. There were 157 passengers, including one lap child, and 13 crew members on board. There were several minor injuries as a result of the evacuation, mostly abrasions. Just to refresh readers’ memories, all current generation Boeing 777s are powered by the GE90-115B. This is the second time an engine has created trouble for British Airways. The airline’s G-YMMx series are powered by the Rolls Royce Trent 800 RB212 engines. British Airways flight BA38 suffered a dual engine flame-out moments before landing at London’s Heathrow airport in January 2008. The crash resulted in the first ever hull loss of a Boeing 777. As part of its ongoing investigation into Tuesday’s engine fire that occurred during takeoff of British Airways flight 2276, a Boeing 777, at McCarran International Airport (LAS), the NTSB today released the following investigative update. NTSB investigators arrived on scene Wednesday morning local time to begin the on-scene investigation. The NTSB investigative team includes experts in powerplants, airplane systems, and fire. The following groups will be organized: powerplants, airworthiness (airplane structure, systems, and fire), flight data recorder and cockpit voice recorder. Parties to the NTSB investigation are the Federal Aviation Administration (FAA), The Boeing Company, and GE Aviation. In accordance with the International Civil Aviation Organization (ICAO) Annex 13, the UK Air Accidents Investigations Branch (AAIB), as the State of the Operator, has appointed an accredited representative to assist the investigation. 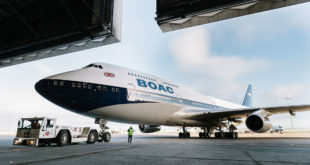 The UK accredited representative has initially appointed British Airways and the UK Civil Aviation Authority as technical advisors. 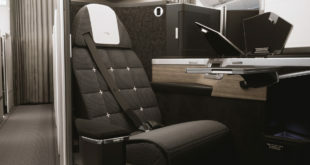 • British Airways flight 2276, a Boeing 777-200ER, equipped with two GE90-85B engines, registration G-VIIO, was operating under the provisions of 14 Code of Federal Regulations (CFR) Part 129 and was enroute to London – Gatwick Airport (LGW), Horley, England. • There were 157 passengers, including 1 lap child, and 13 crew members on board. There were several minor injuries as a result of the evacuation (mostly abrasions). • The flight data recorder, cockpit voice recorder and quick access recorder have arrived at the NTSB Vehicle Recorder Laboratory and are currently being downloaded. • On Tuesday evening, the airplane was photographed and the runway debris documented by FAA and airport officials before airplane was towed to secluded area of the airport (in order to reopen the runway). • Initial examination of the left engine revealed multiple breaches of the engine case in the area around the high pressure compressor. • Examination of the material recovered from runway found several pieces of the high pressure compressor spool (approximately 7-8 inches in length). • Initial examination of the airplane by NTSB revealed that the left engine and pylon, left fuselage structure and inboard left wing airplane were substantially damaged by the fire. This damage will be documented over the next several days. The powerplants and airworthiness groups will continue documenting the airplane and engine over the next several days. It is anticipate that once the tooling is in place, the left engine will be removed and shipped to a facility to conduct a full teardown. Previous Vistara to re-configure aircraft? Revisiting strategy due to 60 crore loss?